Written and Allan Mackey and directed by Ben Hoskyn, “8 Minutes Ahead” explores themes of greed, materialism, loyalty, ambition, and the moments when all of those elements collide. 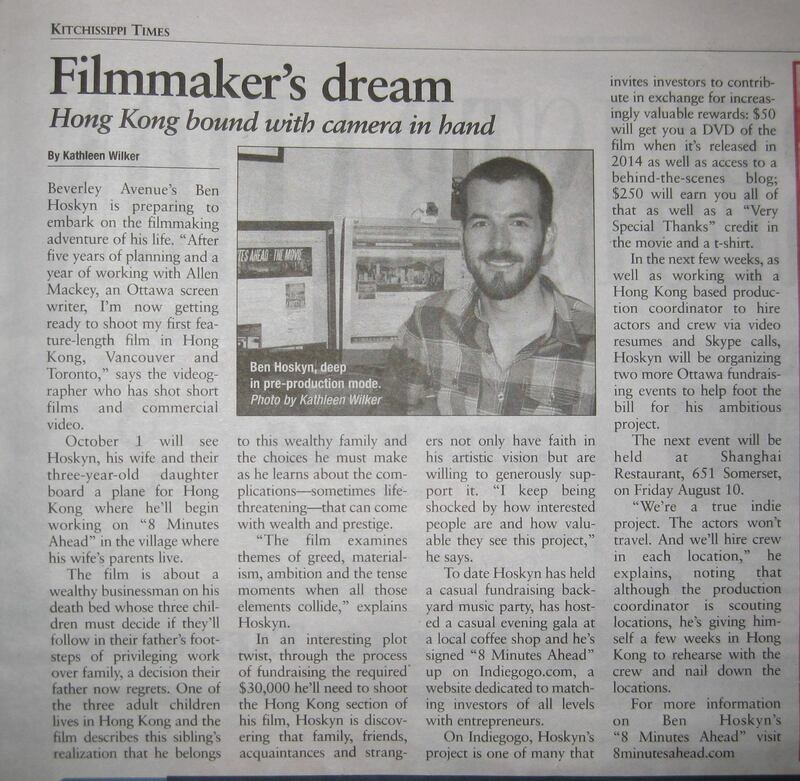 Principal photography begins November 2012, on location in Hong Kong, China. Check out the Ottawa newspaper write-up for more details, and follow his production online, and through the Indiegogo campaign page.